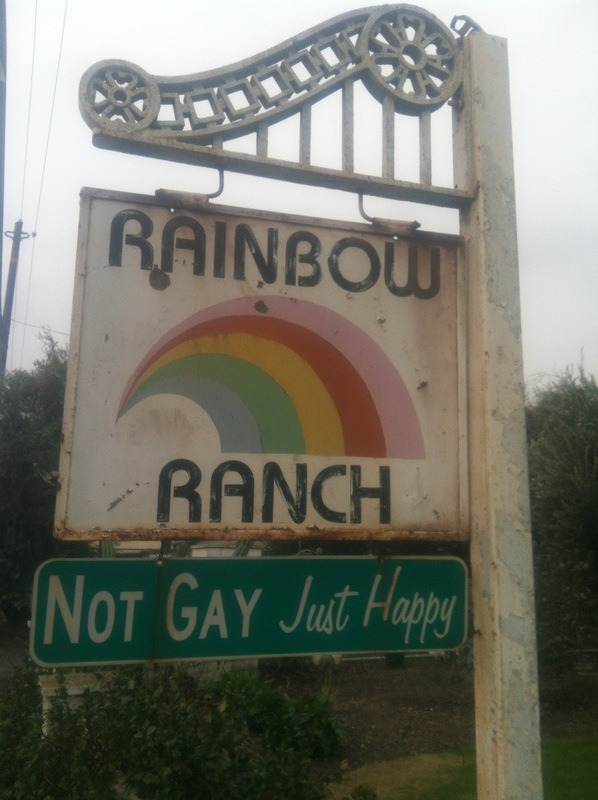 Rainbow Ranch. Not Gay. Just Happy. Sight seen on CA State Hwy 16. But what does it MEAN? William Burroughs said that “language is a virus from outer space.” Well said, Bill! Wait… Did I say THAT?